OneWest Bank is offering a one of a kind certificate of deposit. They are calling it “custom term” CD’s which is exactly what its name suggests. The certificate of deposit offers the term of the CD at the length the investor wants it. It is ideal for the customer who still wants to avail of competitive rates while remaining in control of how long their money will be placed inside the CD. For those who have a clear estimate of when they will be needing their cash, this custom CD is the perfect choice since it doesn’t keep your money locked in at terms you are not comfortable with. The minimum deposit for the custom term CD is only at a fair $1,000 and it does not have a monthly service charge. 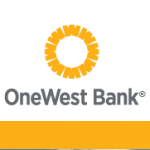 OneWest Bank also gives their investors access to 24/7 online banking. The terms available are starting from three months up to 5 years. It will then be up to the depositor how long he would like to keep his money in the CD. Also, one of the best things about this CD is that the interest is compounded daily. This means maximum earnings for their depositors. It is then paid monthly, quarterly, or at maturity. One thing that has to be noted however is that there will be no interest earned for balances below $1,000. OneWest Bank is the largest Southern California based bank and has 78 branches located throughout the South of California. It currently has $26 billion in assets and $16 billion in deposits. Aside from their great custom CD offer, OneWest Bank is also currently offering the highest CD rates for 3-month CD’s at 0.600% followed by AloStar Bank of Commerce at 0.500%. For those depositors who are looking for a place to park their money at lengths they can actually control, OneWest Bank is the place to go.